When you grow up and get a proper job, what will you do with your children? So, over the last couple of days I’ve been doing something a little different and to be honest a bit out of my comfort zone – but that’s how we grow right?? I’ve come the closest in a long time to having a proper job. 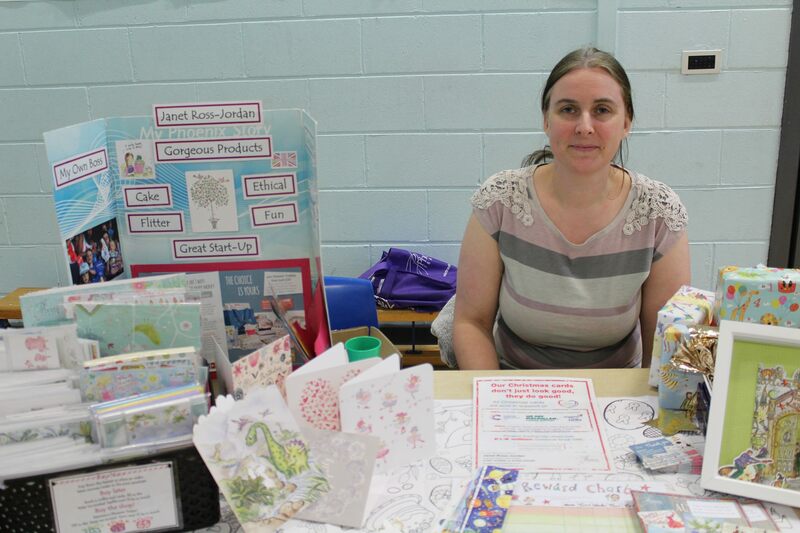 I’ve been at my children’s school for their ‘career – workplace’ week along with other parents and local businesses. We’ve been talking about our jobs and why we do what we do. I was really impressed with the questions asked, especially by the older children. I also felt kind of humbled by their understanding of why I do what I do. When the letter came home the previous week asking parents if they were willing and available to come in for a sort of ‘careers fair’ I half jokingly put my name down for ‘Direct Sales’. To be honest I didn’t think anyone would want me as I don’t work full time and for so many it’s not a ‘proper job’. Would teachers really want me to tell children that I don’t work much because I’m a full time mother and the business I have just fills the gaps? So I ticked both days meaning I was available for either and expecting to hear nothing. Well that’ll teach me! They asked me to come in both days and I was the only person who did do both days! What do you want to do when you grow up and get a proper job? I know when I was young parenthood wasn’t a viable career option. Looking back on my education I feel a bit lied to. I grew up feeling empowered and encouraged to change the world. No one explained that if I had children I couldn’t actually have it all. On the contrary I had to make choice. So I told the children that I used to have another job but gave it up when my children were born. Then I wanted a business that would allow me complete flexibility of time and allow me to earn some money even if not a full time income as it’s not a full time job. I thought they’d all be more interested to ask what my ‘proper job’ had been before my children were born. Yet not one child asked me that question. Instead they all seemed to get it. Perhaps because our children value the time we spend at home with them, even when we don’t or when we don’t realise how much they appreciate us just ‘being there’. I don’t know the answer to that. Most of them seemed to want to join the police (he did have much more interesting gadgets and equipment compared to my bookmarks and birthday cards!). Though their eyes did all light up when I explained that my job involves eating a lot of cake. But I was reminded how clever and astute our children are. When I was 6 it was a visit from a missionary couple that sparked something in me to work overseas. That never left me and was the basis for my previous ‘proper job’. It’s still something I’d like to go back to. But for now my children appreciate me just being there for them. Even if they and I don’t always realise it. So I’ll keep doing what I’m doing, blogging about and selling cards and eating cake. Previous post: National Handwriting Day: What does your handwriting say about you?